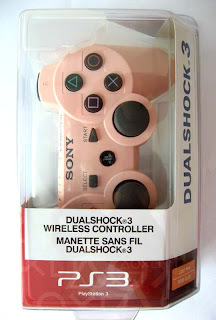 Apparently this is Sony's answer for thier female gamers. The new Pink DualShock 3 is scheduled to ship this month..
Well I guess if your going to be playing Black Ops you can be like " Oh I no-scoped you with a pink controller!" OWNED! !